I may be slightly guilty of complaining about my neighbors on Facebook. In most respects they are nice, normal people with young kids, relatives, friends, a dog and a trampoline. I wonder, though, if they celebrate more than the average family. And I also wonder, often, how to disable the bass speaker from their stereo system in a quiet, legal way. This past weekend I found myself actually wishing for the simple annoyance of that bass thump thump thump vibrating through my bedroom wall at any hour of the day or night. What could possibly make me wish for such a thing? 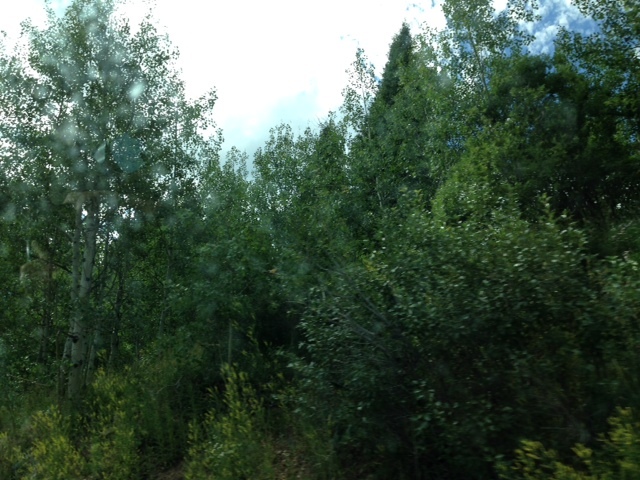 When I think Wilderness I imagine large open meadows filled with wildflowers, pines intermingled with quaking aspens, blue skies, birds twittering, chipmunks chattering, and the smell of a campfire, with a soft breeze rustling the leaves. Maybe it would even include a brief afternoon downpour, which makes the air even fresher and more wilderness-like. Our little outing included all that in glorious abundance. Exactly what a person seeks when they go out into the wild. At least, that is what THIS person seeks when going to a wilderness area. Don’t you? Apparently other people, people I do not comprehend, think wilderness is for unmuffled engine noises and dust and the smell of gasoline and exhaust. The Beast’s Minions, no doubt. Not long after setting up camp, in the WILDERNESS, we realized we were way too close to a dirt road that apparently compares to Times Square in mountain terms. Holy smokes! Every motorcycle, ATV, four-wheeler, jeep, and zoomy loud obnoxious vehicle ever invented drove up and down that road. We took comfort in the thought, the absolute certainty really, that once the sun set the traffic would abate. But alas, we found that assumption to be completely and totally incorrect. In fact, some of the wheeled monstrosities seemed to amp up the volume after dark. This “War Rig” is actually from the movie Mad Max, but could easily be what I heard and felt. I pictured amplifiers attached to where a muffler would be, flames shooting out the top and back, and a doomsday soundtrack that normally plays in a sci-fi movie when an entire planet is about to be destroyed. The driver most certainly looked like one-eyed Dennis Hopper from Water World. And I’m certain the beast was a half-track, or some tank or a war machine. This thing made our tent rattle and vibrate and I swear the ground shook. The fact that lightning and thunder were intermittently happening only added to the creep factor. Unlike the other vehicles that blasted through after dark, this one could be heard two to three miles away, coming and going. Unnerving. Definitely not sleep inducing. So MSH and I decided to read a bit and talk over what we were reading. A few more, by comparison, fairly quiet ATVs blasted through, surprisingly. Near midnight we turned out the lights and assumed we’d sleep through the night. No flames shooting, since it’s daytime, but definitely similar to what I felt and heard. No flames shooting in the daylight, but definitely similar to what I felt and heard. Until 1:45 a.m. when The Beast Built From War Machines of Horror Movies returned, driving slower and if possible, louder. The mountains echoed with the roar of this monstrosity, I swear house sized boulders voluntarily rolled down mountains and trees fell of their own accord at the sound of this thing. What little bit of sleep I did manage was nudged awake by birds and chipmunks at the first hint of dawn. A cousin of The Beast, no doubt. Not so scary in the daylight. The ATVs didn’t wake up until five hours later, a very welcome respite. If wilderness is so loud and ridiculous, how do I escape the noise and chaos of mankind and their machines? I guess I need to try backpacking miles and miles away from any roads. Or try setting up camp next to a very loud river. Or both. I suppose I’d better get my backpacking body back in shape. In the meantime, I guess I could be more tolerant of my neighbor’s late night stereo blasting. At least it’s not some vehicle from Mad Max showing up at my doorstep, right? Have you ever noticed that so much about life and the troubles we go through is all about perspective? Disclaimer #1: When I was a young’un, dad and his pals and their families, all headed up into the mountains from time to time specifically to ride motorcycles all over the place. We were oblivious to the thought that maybe our noise and dust weren’t as delightful to others as they were to us. But once it was getting dark, those machines got parked for the night. No one would mistake our little engines for some beast from the underworld, that’s for dang sure. Disclaimer #2: More logical people than I have suggested having a chat with the neighbors about turning down the music a bit after midnight. But, I’ve found it’s more fun to whine on Facebook about it than to resolve the situation. It’s Gratituesday! Today I remembered a bunch of different camping experiences. Places with names like Tony Grove, Emigration Canyon, North Fork, Minnetonka. These places, and dozens of others shaped who I became. 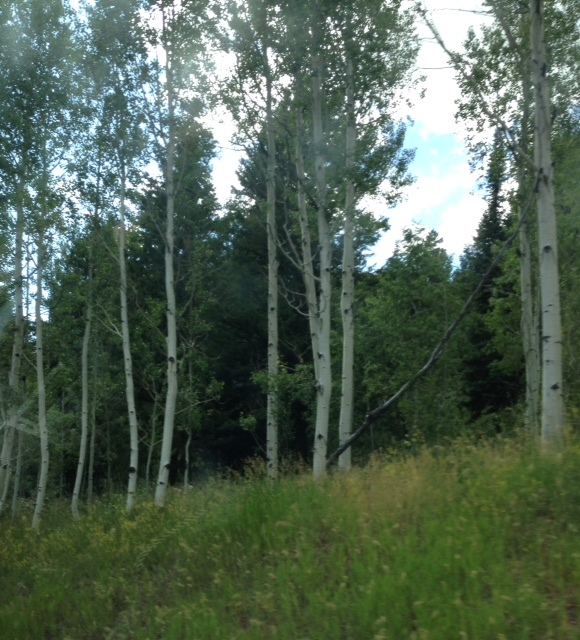 A stand of Quaking Aspen trees. My favorites. Activities included wandering among the pines and quaking aspens, skipping rocks, hiking trails, burning marshmallows and hotdogs and best of all, poking sticks into the campfire while singing songs and hearing stories. Nothing felt better or more freeing to me than hanging out among the peaks and valleys of the mountain west. Similar experiences, I hope, shaped my own children’s lives when we went camping. Some of my favorite mom moments involve trickling streams, rock climbing, rappelling, rainy camps and lots of mud and dirt. We camped from the Cascades in the Northwest, in the rolling hills of North Carolina, and in the flatlands of Oklahoma and even in Arizona’s mountains. One tiny example: I still laugh when I remember one trip where my two youngest gave each other titles, Queen of the Flame and Little Muddy Foot. You can imagine what that must have entailed. I believe a pile of unmelted spring snow sat about ten feet from the tent on that trip. Good times! Trees and sky on a slope in the mountains. Today I saw photos that let me know that love of things outdoors has translated across generations. My youngest grand “hiked” on her daddy’s back with her mom beside her (my oldest daughter) to a stunning peak of over 11,000 feet! Their smiles said it all! Pride, joy, freedom, peace, accomplishment, solitude and togetherness, all packed in to one amazing experience. Part of me felt transported to that mountain top (where I’ve never actually been) and to the woods of Oklahoma and the peaks of the Northwest and back even further to countless childhood camping trips. Is there anything more joyful than seeing those we love embrace the same things we love? I think not. I have a lifetime of gratitude filling my heart today. Thanks Dad and Mom for planting and nurturing the love of outdoors deep within me. Thanks MSH for wholeheartedly supporting my little obsession way back when. Thanks to my kids for being good sports and going along with us, (not that you had much choice, I suppose.) And thank you for passing along that fun to your own current and future families. I wonder sometimes if heaven will have mountains and lakes, tents and campfires. I sure hope so! A little something for you to ponder. Nature calls. No, not the way you’re thinking. I’ve heard the call of the great outdoors, the mountains, ponderosa pines and dirt trails for a couple of months now. It’s been a long while since I’ve been out among the wild things. I’m anticipating some nature time here soon. Just thinking about it relaxes the muscles in my back and brings a smile to my face. Ahhhh…. 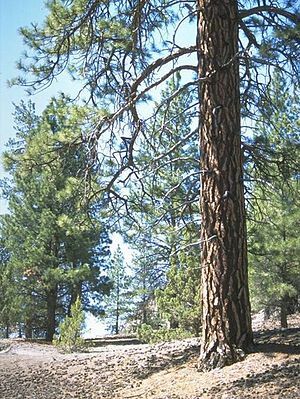 Did you know the bark on a Ponderosa pine tree has a vanilla scent to it? You have to get up close and personal to really pick it up, but it’s there. And the needles and pine pitch? Mmmmmm, there’s a smell to enliven the soul and rejuvenate the senses. Getting away from the light pollution of the city, up into the mountains, allows a view of the night sky that’s always there, but not always visible. A spectacle of magic and mystery, uncountable stars emblazon the night sky like so many scattered gems on a black velvet cloth. That alone gives pause for some seriously deep contemplation and introspection. Hiking slows the pace of the world down to manageable proportions. There’s time for savoring details like a scattering of quarter-inch flowers, or the sound of a small stream making its way downhill, or the varieties of green. Birds accompany every activity up there, especially morning goings on. Mornings and birds are inseparable and a perfect combination, like hot chocolate and whipped cream. Every pip, cheep, chitter, whistle, peep, and song adds to the delights of the day. Cooler air. Ah, yes. Getting off the desert floor up into higher country provides a welcome and much-needed respite from the flirting with 100’s temps we’ve had here. Just the mere sound of wind making its way through the pine boughs brings relief. When the actual breeze brushes past carrying snatches of songs from all the trees I feel renewed, baptised and reborn. I think I sound lovestruck. Infatuated. Irrational. I don’t sleep well while camping. 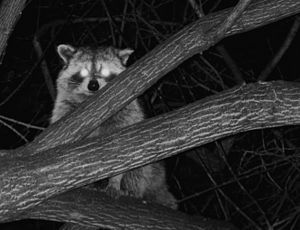 I’m jittery and nervous of the great outdoor’s night noises. At the first hint of daylight I’m outta the tent and building a huge fire and heating a pot of water. Some of the other campers will be noisy, annoying, silly and clueless. There’s probably some fire restrictions if not an outright ban. Mosquitos and I don’t get along well and will be battling it out every evening. After a few days of bliss I’ll be happy to return to the valley of heat, dust, flush toilets and long hot showers, pillows, beds and internet connections. I’ll wax nostalgic about the mountains and nature until the next time I get to escape. I’ll love it while I’m there, itchy bites, dirty hair, sleepless nights and all. The hills are alive with the sound of music and bugs and crazed campers and beauty. There’s no separating the good from the bad. So while I’m packing up the flashlight, camp chair, bug repellant and sleeping bag, I’ll also bring along a pen and notebook, a camera, my hiking boots and my decent attitude. I’ll leave my iPod and earbuds at home though. I don’t want to miss nature’s playlist. The water from the lake barely ripples. There is just a slight breeze, a few distance clouds. 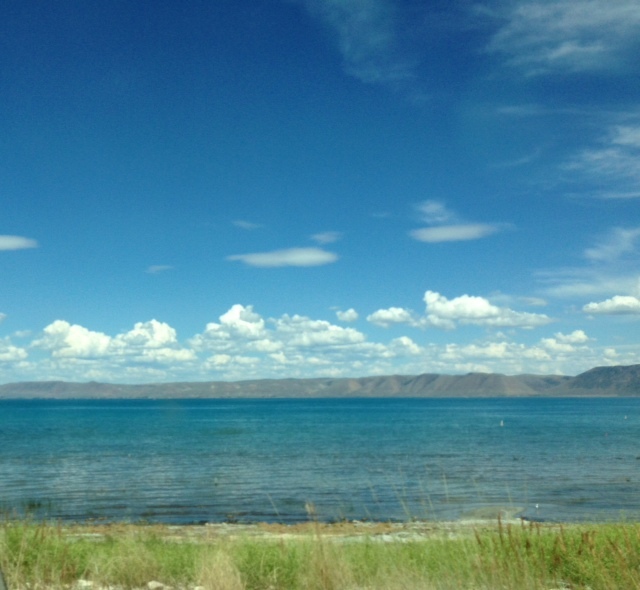 Blue saturates the sky, a clear color I haven’t seen for years. At this elevation, 8500 feet, give or take a few, the dust and haze of the valley hover far below, leaving no filter between me and the wide expanse above. Pine trees enclose the small lake like a protective, natural fence. From my seat, on an outcropping of boulders, the world is a pristine and perfect place. The climb to this tiny utopia had been an exceptional elevation change for a desert dweller like myself. (I live around 1200 feet above sea level.) My lungs had worked hard to squeeze every molecule of oxygen out of the thin air as we hiked the sharply angled trail. Sitting, with the silence as our only other companion, a kind of peace settles, filling in all the cracks and chinks of my worn out psyche. Nearby a flutter of dime-sized periwinkle butterflies hover just above the ground like miniature flying bouquets. I sip some water, crunch a couple of peanuts. Let out a long breath of contentment and calm. My muscles have a hard-earned ache that let me know that, yes, I am very much alive. The clarity of the blue above me works like a lullaby. I am entranced, enchanted and captured by tranquility’s warmth. The weary, jagged parts of me begin to mend. Leaning back on the boulders, I close my eyes. The sun brushes my face and whispers.